Compatible with plugs from USA, Europe, Asia and more! Having this Multi Reverse Adapter lets you import and run appliances from overseas without any worry! 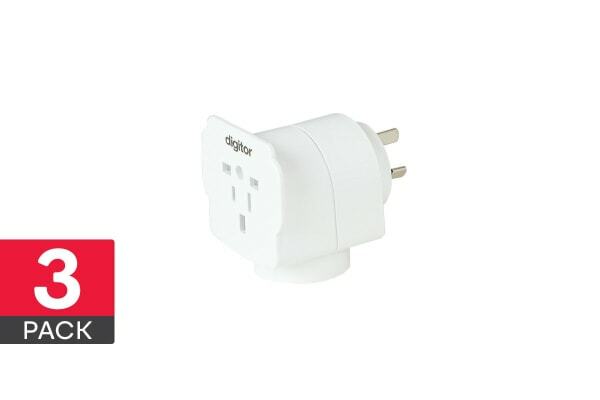 With the Digitor Multi Reverse Adapter around, you’ll find it easy to run overseas appliances on Australian/NZ plugs. As it is compatible with a huge range of countries, it lets you import products without the worry of having to buy multiple converters. What’s more, with this great value pack of 3, you can have spares lying around your home or office.